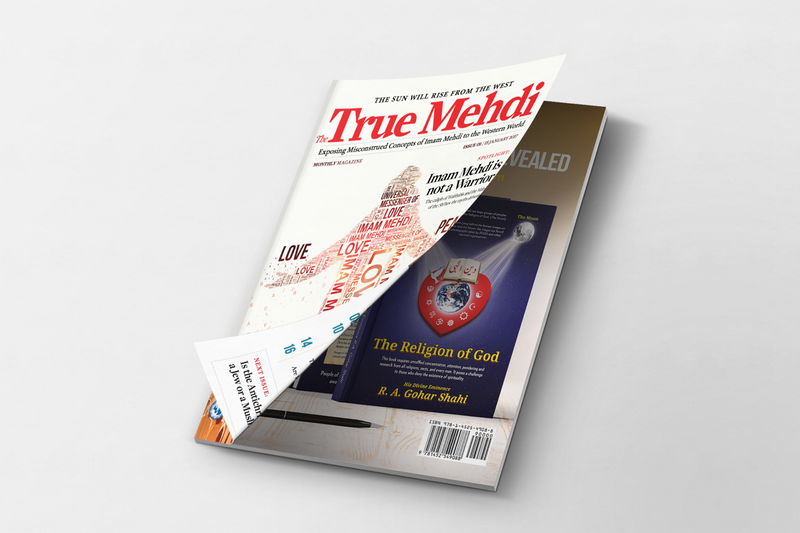 The article was originally published on Younus AlGohar’s Medium page. As a child, born and bred in a Muslim family in Pakistan, I had always been told that all the other celestial books have been gravely adulterated. We believed that the Bible and Torah were given to Messengers from God and they were the true word of God; however, subsequent to great modifications in those religions, these two books also were adulterated on a ridiculous scale. As Muslims, we were always told to believe that the Koran is the most accurate book on the face of the world. At the same time, we were told to reject any remote possibility of doubting the authenticity of the book; this was because God Almighty himself had taken the responsibility of keeping the Koran protected. We always had this belief that the Koran cannot be adulterated, though we didn’t really know how. As I grew up and I became a fortunate disciple of His Divine Eminence Lord Ra Riaz Gohar Shahi, I began to understand that God’s word is God’s word. It does not lose its significance if God’s word was delivered to Jesus, Moses or Abraham. I also began to understand that the fact that the [Koran] was given to Prophet Mohammad does not increase its authenticity in comparison to the [Torah and Bible]. We cannot simply say that the celestial books [other than the Koran] are less accurate or insignificant — especially when we know that the Bible, Torah and Koran are God’s word. God’s word is authentic [no matter what prophet it is given to]. However, [as Muslims] we have always been very biased towards the Koran; we have always had this unexplainable reservation and ridiculous prejudice for the Torah and Bible. Unfortunately, adulteration has been the most common factor in all the celestial books. Having become a Sufi and having done comparative studies of religions, I noticed that Muslims still do not want to admit the Koran can be subjected to any adulteration. Somehow or other, it is not just possible for them to do so. I do not want to offend or disorient anyone. However, I would like to sum up my experience, observation and theological analysis. My findings are: even if the Koran has not been adulterated, the consequences are no lesser in fatality than that of the Bible or of the Torah. It is not about the words; it is about the meaning. If the words are as accurate as they were at the time of revelation, but the meaning and understanding of the words have been subject to deception, the result is the same. Let’s suppose the Koran is free of all doubts and the most authentic book on Earth from God. Does it benefit humanity or the Muslim nation? If one medicine is adulterated and another is ‘pure’ — but neither of them works for you when you take them, then something is wrong with the pure medicine whether or not you want to accept it. If a patient who took the medicine died, [calling it pure is like refusing to accept] that the medicine killed a man. If we assume that the Koran became more authentic — not because it was God’s word, but because it was revealed to a Muslim prophet — we would be giving significance to Prophet Mohammad [over] God. The authenticity of the Koran lies not in it being revealed upon the heart of Prophet Mohammad, but because it is God’s word. If it is authentic, it is authentic because it was God’s word. [But then again, why do Muslims think that] God’s word which was revealed to Moses, Jesus or Abraham is not authentic? Once upon a time, there were 73 sects in Islam, but today every single Muslim is an [authority on the religion]. The way people prioritise their opinion in relation to the priority given to Koran only suggests to me that Koran is somewhere in the background. What is more important to people is their own understanding. The Koran is very authentic, but the Muslim nation is dead. You need to understand human philosophy if you want to understand God. God said that he created you upon his own nature; so however corrupt you are, God is on the same page. However pure you may be, you cannot exceed God in purity; if you cannot exceed God in purity, then you cannot exceed God in corruption. I have every reason to believe that God’s lousy attitude towards humanity has been the prime concern; it has played havoc. He has been very careless and reckless with words. He just said whatever was dancing on the tips of his tongue. He created piles upon piles of doubts in the Koran. To my understanding, I would get away if I decide to read a novel from Mills & Boons rather than studying the Koran. It wouldn’t pollute your heart on the same scale. God has subjected [the Koran] to a great deal of corruption and violence. There is nothing in Islamic history but blood. ‘An eye for an eye, an arm for an arm,’ if you follow this rule, everybody would be blind and be limping. However, contemporary Muslims have closed their eyes to reality. The way the Koran was compiled by Companions of the Prophet has added to the [abundance of] problems that were in it. In the Chapter of Light, God is talking about menses and in the Chapter of Women, God is talking about light. If you read the Koran carefully, you will be completely dismayed and disappointed in God. He doesn’t finish one sentence before starting another. If I am a holy water well and I give one man dirty water, another man pure water and yet another man blood, as I still the most authentic? [This is what the Koran does]. Every single recipient is dispensed different medicines from the Koran. Muslims say, ‘The Koran is the most authentic book.’ Then why are they diversified to a degree where no more divisions can be made? Islam has been made subject to total mischief. It is not alive anymore — but God is. This is why we are calling humanity through divine love. The nature of this divine love is based on His Divine Eminence Gohar Shahi’s concept of love. Adam Safi Allah (Adam the Eminent One) was the first whom God granted the esoteric knowledge and last of 14 000 different species of Adam created by God. Prior to Adam Safi Allah, none of the progenies of 13 999 Adams were granted the esoteric knowledge; hence they were unable to connect with God and reach Him. Since the esoteric knowledge was not granted to them, therefore their souls and other spiritual faculties had been dormant and deprived of capitalising human instinct. Human instinct in man reflects in his character only when the souls in him are awakened and enlightened. If the souls remain dormant in a man, he doesn’t develop human characteristics such as pure love, gratitude, forgiving the offenders and other positive traits. With the help of the esoteric knowledge, one awakens and enlightens his souls, and discovers within him the original human characteristics and sense of superior creation. Since progenies prior to Adam Safi Allah were not granted the esoteric knowledge, they couldn’t recognise divinity and its traits. Therefore they were easily misled and engaged in mischief and bloodshed. Today, humanity has lost that esoteric knowledge which connects man with God and awakens human characteristics in him. Imam Mehdi has revived the esoteric knowledge once again, to uplift humanity to higher levels of spirituality so as to revive Human Characteristics in all human beings again. And this is the purpose of Imam Mehdi’s advent! This article was first posted on Younus AlGohar’s Medium page. Learn more about the different species of Adam and the hidden history of man in the sacred book penned by His Divine Eminence Gohar Shahi, The Religion of God (Divine Love).